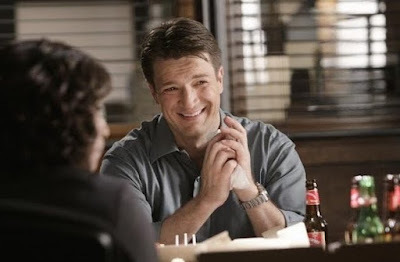 Episode Review: CASTLE, "A Deadly Game"
I'm too pooped to put together a full write-up on tonight's Castle. All I can say is that it was emotionally exhausting, but it was the proper ending for season 2. I know there are some shippers out there that were probably throwing things at their TVs, but the final scene shouldn't have been a surprise to anyone that's watched a television show. I do have to admit that I got sucked in though. I was even jumping up and down...I'm man enough to admit it.